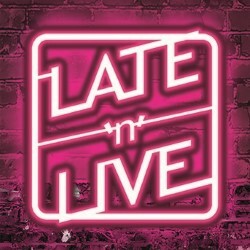 The original, wildest and latest of the late-night comedy shows is back for its 33rd year, showcasing unadulterated comedy mayhem to tickle the fancy of every twisted night owl. Each night's a totally different beast that follows a trusted formula: one hysterical compere, four brave acts and hours of booze-soaked laughter. You won't remember the night before come the morning after – but you'll know you survived Late'n'Live! The latest show on the Fringe. 'The celebrated comedy abattoir that has slain a thousand comics... the best late-night show on the Fringe' (Scotsman). 'An essential part of the Fringe' (Guardian).